Q. What is the sixth of the Ten Commandments? Every person, even non-Christians, understands that it’s wrong to take a life. Killing someone is the worst thing you can do to a person because their life is the most you can take from them (physically speaking). So if its wrong to kill, how do we justify capital punishment, wars, and the God-ordained killing in the Bible? We need to understand the differences in the words. 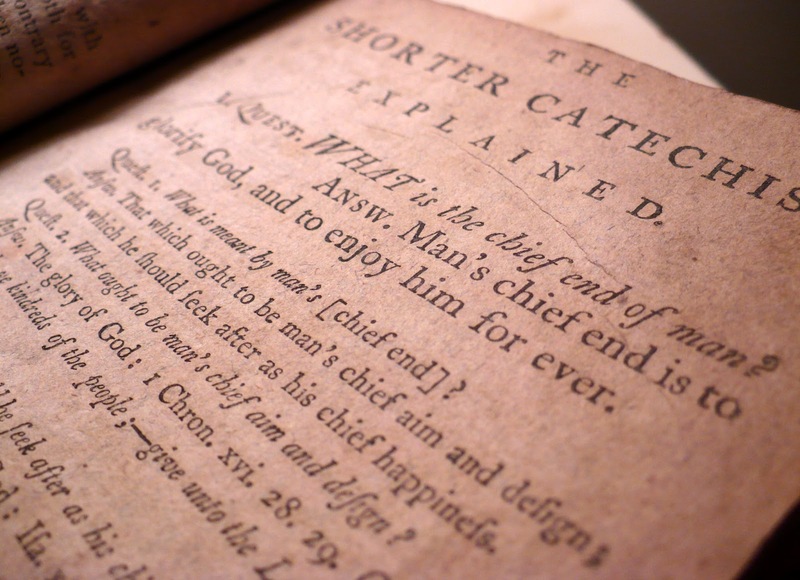 Kill, as it is used in the sixth commandment, should be translated as murder. The Hebrew word God used, ratsach, means, “to murder, slay, or kill.” While the word has been associated with accidental killing, such as manslaughter, it usually refers to premeditated murder and assassination. Compare that to the word muwth, which means, “to be executed, to die as a penalty.” That word is used throughout the law as a consequence for violating the law. In English we might miss the difference, but in Hebrew the difference is black and white—you might say a matter of life and death. The most important issue for us is not whether or not we are murdering people, but whether or not we are showing love. My family and I recently took a trip to a museum in Columbia, South Carolina. 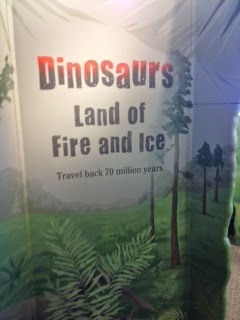 As someone who has always been fascinated by dinosaurs, I was excited to check out the “Land of Fire and Ice” exhibit. Of course, I realize these exhibits are always tainted by the inaccurate descriptions of evolution, as I was greeted by the sign that said we were going to travel back 70 million years. And that really was quite a find. Very few mummified dinosaurs have been discovered. 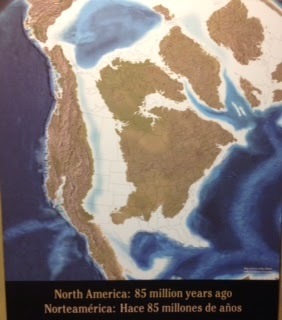 Then in the third room there was a map on the wall that showed what North America looked like 85 million years ago. Notice where North Dakota is. If you cannot see, it is almost completely underwater. In fact, scientists believe that through the entire Cretaceous period (65-145 million years ago) North Dakota was submerged. 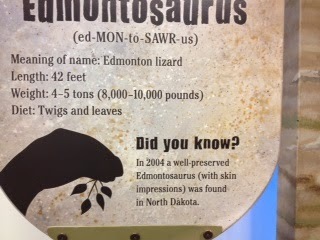 Anyone else curious how a well preserved Edmontosaurus was found in a region that he never would have been in? By “just the right circumstances,” I’m assuming they don’t mean Noah’s Flood, but that certainly would have done the trick. This is an amazing discovery, but the discovery itself points to a young earth. Even the most well preserved bone or fossil, even in “just the right circumstances,” could only last a few thousand years. 65-145 million years would not leave us with anything, let alone a complete lizard. Q. What is the fifth of the Ten Commandments? The fifth commandment is probably every parent’s favorite of the ten, but it is not a command that is limited to children. We need to honor our parents. It is interesting that God did not say obey your parents, but to honor them. But think about it: how can a child disobey his parents at honor them at the same time? No matter how politely the child may respond to instruction, disobedience comes down to a lack of honor. In fact, Paul associated obedience with honor in Ephesians 6:1-2. Whether you are six, 16, or 60, God is pleased when you honor your father and mother. 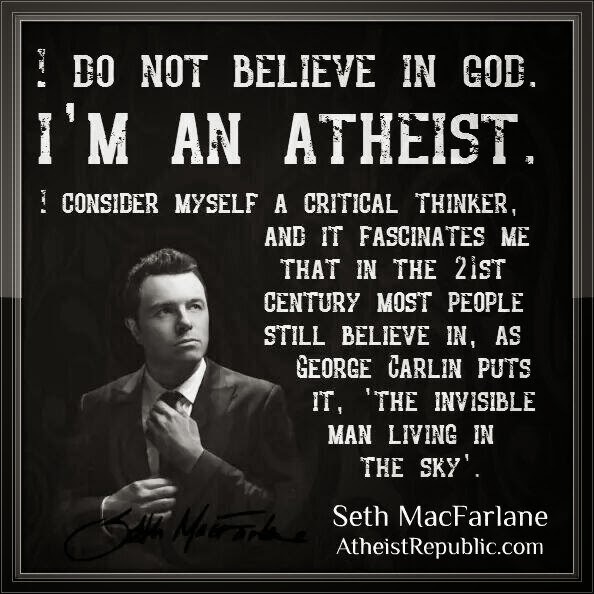 I like all my "critical thinkers" to quote comedians. Q. What is the fourth of the Ten Commandments? The fourth commandment is perhaps the most misunderstood of the ten. The command was to have a day—Saturday—where no work was done; a day of rest and enjoyment dedicated to the Lord. The Sabbath has always been Saturday (the seventh day of the week). There is no Bible verse that says the Sabbath became Sunday. In the New Testament believers began to meet together on Sunday because that was the day the Lord rose from the grave. This was not commanded, but rather was something the church decided among themselves to do. But the Sabbath was still Saturday. The whole point of the Sabbath was to have a day of rest and peace, a day spent reflecting on God’s goodness and provision for us. When we legalistically add extra rules, we miss out on peace because we are so worried about not breaking the law. If a sick man cannot be healed on the Sabbath, he would loathe the Sabbath. The command is not to work, but who defines work? Is it breaking a sweat, or drawing a paycheck? Some would tell you not to cut your grass on the Sabbath, but what if cutting your grass is relaxing? What if you enjoy doing that? What if you are more in tune with God while you mow, spending the time in prayer and in awe of the beauty around you? If your sheep falls in a ditch, can you not pull him out on the Sabbath (Matt. 12:11)? Instead of becoming legalistic and missing the point, we need to make sure we have a time of rest for our physical bodies, as well as a time of contemplative reflection on God’s goodness to us. That is the spirit of Sabbath. We were not created as slaves to the Sabbath; the Sabbath was created as a gift to us. Scientists are touting new evidence for Darwinian evolution, this time riding the fins of the ancient jawless fish Metaspriggina. This supposedly 500 million year old fish (remember, all dating is purely speculative) grew to be two inches long, and did not have jaws. This new fossil discovery is being hailed as the precursor to the jawbone; thanks to this new discovery, they say, we can learn what animals had before the jaw evolved. This is one of those times where evolutionists say they have proof of evolution. But this doesn’t prove evolution at all. 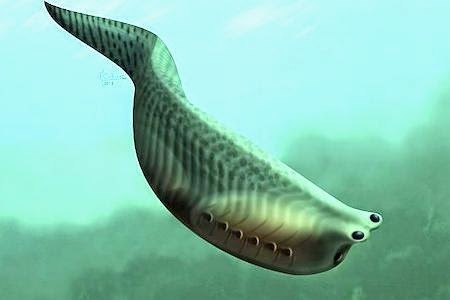 A jawless fish only proves that there once was a fish that had no jaw. Proof of evolution would be transitional fossils—commonly called missing links. A fish with a partial gill system, partial jaw system would support Darwinism. Of course, nothing like this has ever been, nor will ever be found. Even more damaging to the victory of this discovery is the fact that, still today, jawless fish exist; hagfish and lampreys are both jawless. If jaws are proof of evolutionary progress, why do hagfish and lampreys not have them? And why do all other animals (the ones supposedly older than 500 million years) have jawbones? This is the exact opposite of proof. The reality is God created a diverse animal kingdom, and the more we learn, the more we should stand in awe of our magnificent Creator.